BLOGTechnical analysis: what are the advantages? Remember the phrases ‘a stitch in time saves nine’, ‘ time value of money’, ‘time and tide wait for none’ and the ones akin to these? Somehow they give an inkling that most of the things in life have ‘time value’. So this makes us reconcile with the fact that ‘timing’ of anything plays tremendous role and so its importance can’t be undermined particularly if we talk about investments in financial markets. While a person has to invest or trade in the markets, the timing of investment is what matters to the core along with the characteristics and a firm’s intrinsic value. The general misconception says that investing and trading is more like gambling because you never know what is in the store for the future. Time for reality – they are not totally random. There exists a mechanism to understand the crests and troughs. If we look at the tools, there are a large number of techniques which help us strive the way through the maze of decision making in this field. This analysis as we may call it could be either fundamental or technical. John Maynard Keynes couldn’t have put his in better words when he said there is nothing so disastrous as a rational investment policy in an irrational world. In an irrational world, things more often work in tandem with the sentiment prevalent in the environment. A lot depends on the psychology and emotions of the people operating in the market as the greater fools theory too purports. If you think you can find a greater fool in the market who would be ready to buy at a price greater than what you bought, you will trade in that stock. So it’s the ballgame of apprehension most of the times. 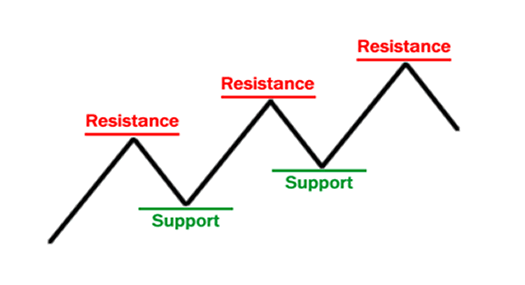 For better clarity, one needs to understand direction of momentum in which the stock has been trading in the past for it is the crux for understanding how exactly the thinking or psychology works for the masses. And for reaching this horizon, we need to ride on technical analysis. 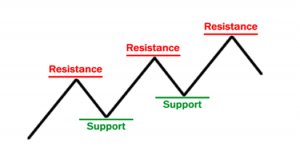 Which among supply and demand holds a upper hand at the particular moment, which helps to take the decision of buying (if price is at support level) or selling (if price is at resistant level) . Secondly, technical analysis says that everything gets reflected in the price. Therefore, there is not much need to know about the firm’s intrinsic value or analyzing all the financial statements and it is this argument that makes the analyst think twice about digging into the realms of doing the fundamental analysis, which aims at knowing the blood of financial statements better to steer the investing decisions to the right direction. Intraday, daily, weekly, monthly, quarterly, annually while for fundamental analysis the information required for it, i.e. the financial statements etc. they are not available at such frequent intervals. Also technical analysis answers the moot question of ‘when to buy’, which is the most fundamental and a-million-dollar question. Life would be much easier if it is known when to buy or when to hold, whether to maintain long or short position. The ‘timing’ is the HB of the blood flowing in the financial markets. Howsoever hard you try, you can’t do without it, Can you? Also less significant prices are filtered out and therefore the focus remains on the most important trends. We can make out the bullish or the bearish characteristic of the market using indicators such as double bottom, head & shoulders etc. Thus there are numerous tools to understand the psychology technically. They say, markets are 80% psychological and only 20% logical. Henceforth, the importance and advantages of technical analysis cannot be undermined. Seriously!